This is a guest post from Michelle Jurkovich, an assistant professor of political science at the University of Massachusetts Boston. As the lunch hour approaches in Washington, a woman sits at the edge of Farragut Square holding a cardboard sign with three simple words: “I am hungry.” Some passersby are noticeably uncomfortable as they walk by her, averting their eyes and quickening their pace. A few people hand her the spare coins in their pockets. Most people ignore her completely. Had this woman expressed a violation of a different human right (for ultimately, that is what her sign is expressing), perhaps people would react differently. Had she said she had been forcibly disappeared, or her access to any primary education had been violated, or she had been tortured, people might take notice. But on this World Food Day it is worthwhile to pause and examine the puzzling way in which any human right to food is understood both in the United States and in many other countries around the world. Many readers might be surprised to know there is such a thing as a human right to food in the first place. 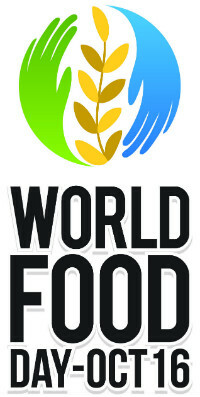 The right to food was included in the Universal Declaration of Human Rights in 1948 with surprisingly little controversy and reiterated in international law in 1976 with the International Covenant on Economic, Social, and Cultural Rights (ICESCR), in 2004 with the Voluntary Guidelines on the Right to Food (which the United States signed), as well as included in numerous other international conventions and agreements. And yet, while responsibility is ascribed in international law to national governments for the protection and fulfillment of this basic human right, many continue to see food or hunger as an issue for charity, but certainly not a basic human entitlement. Last year, the USDA estimated that a shocking 14% of Americans were “food insecure.” Despite the scale of this problem in the US, there remains a marked stigma around accepting any of the (limited) public assistance available. But stigmas are strange, socially constructed things. If, for instance, a parent relies on public education for their children, they are not considered moochers, but if they rely on public support to feed those same children, they certainly are. And it is not the case that it is simply a smaller commitment by the state to provide public education (which costs on average over $10,000 per student per year in the US) than food. It certainly is less expensive to feed children than to educate them. Instead, in the US, many simply remain unconvinced that the government should be ultimately responsible for the provision of food. And this is a powerful thing. Ultimately, human rights require buy-in from communities to support the idea that indeed, there are basic entitlements that every human warrants and that when necessary, governments are obliged to protect and fulfill these rights. And yet, despite a 14% food insecurity rate in the United States, what limited funding was available through food stamps programs was cut last year by approximately $8.7 billion. Many in Congress urged far deeper cuts. This does not mean that communities in the US do not care about combatting hunger. To the contrary, canned food drives and private donations to food banks and soup kitchens are commonplace in the US. But these efforts reinforce the view that feeding the hungry is a form of private generosity. They are also inadequate. Our current approach of cobbling together food assistance from donations by the private sector, individual neighborhoods or churches simply has never been able to effectively combat the hunger problem in America. Outside of the US, questions like “Who’s to blame?” for persistent hunger are equally complicated. In my current book project I look at the very diffuse world of international hunger activism—where actors as diverse as price speculators, transnational corporations, civil society, international financial institutions, national governments, outside governments (usually advanced industrialized states), and even more amorphous targets like climate change are all targeted as to blame for hunger in the developing world. With global hunger rates at approximately 800 million in 2014 and more people dying each year from hunger than AIDS, malaria, and tuberculosis combined, there should be an urgency in streamlining a message of responsibility.